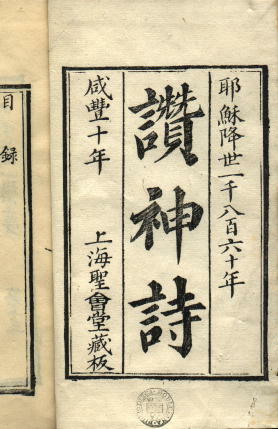 We have a very large collection of Chinese Protestant missionary publications, consisting largely, but not entirely, of the Chinese books exhibited at two of the great nineteenth-century international exhibitions: the Centennial Exhibition of 1876 in Philadelphia (these books probably reached us through the agency of Alexander Wylie), and the International Health Exhibition of 1884 in London. So far, I have identified over 1,200 different editions, with many duplicate copies, and I reckon that we have at least one hundred more. Putting the cart before the horse (because this corpus of materials demands a much bigger introduction), and at the risk of discrediting an immensely important resource, I will describe one small part of it, which although interesting and rare, is an intellectual and bibliographical dead end. Needless to say, this is not quite what happened. While the Chinese script continues to flourish, the forgotten remains of Crawford’s efforts survive perhaps only in the form of a few publications in the Bodleian (all from the Philadelphia Centennial Exhibition) and one or two elsewhere. It is strange that when writing in 1888, more than twenty years after he had invented the script, and with only some half dozen books having been published in it, Crawford should continue to argue that his system might have a future. Here are my records for the books, perhaps the most egregious examples of my cataloguing so far. I have used the table in Sinica 1625 to transcribe them, but am not confident that the transcriptions are correct. The imprint is derived from Wylie (Memorials, 214). Aesop’s fables. There is a copy of this edition in the National Library of Australia, and it has been digitised. This copy has an English title-page which is lacking in the Bodleian copy. 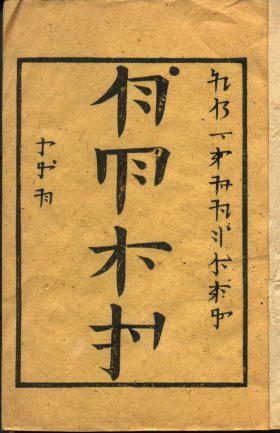 Someone has penned the title 「伊娑菩喩言」 on the front cover, and this title has worked its way into numerous web pages. However, plausible as it is, this title cannot be the equivalent of the New Phonetic Script syllables ku pi fong, which I had been unable to figure out until the blogger P’i-kou pointed out in his extensive and well-informed comment that ku is the Shanghai pronunciation of ke 個, which in Shanghai dialect can correspond to the genitive zhi 之 in classical Chinese or de 的 in Mandarin, in addition to its use as a measure-noun (exemplified in the title of work 8 below). The two works above are not properly recorded by Wylie, whether in his Memorials or his list of the works exhibited in Philadelphia (which appears as an anonymous appendix to the official catalogue of Chinese exhibits). Memorials describe only one volume, “Bible Stories. 93 leaves. 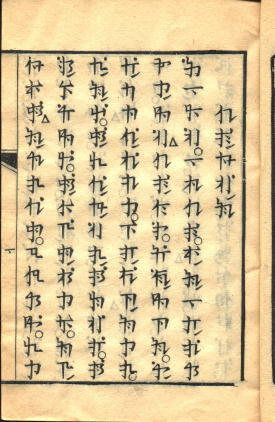 Shanghae. 1857” (pp.214-215) , and the Philadelphia list has “Line upon line … 2 vols. …176 leaves … 1857” (no.849, p.33). There is no conflict in the title, as the “Bible Stories” could well be those told by Favell Lee Mortimer in her Line upon line of 1837, which is still in print as a classic devotional manual. 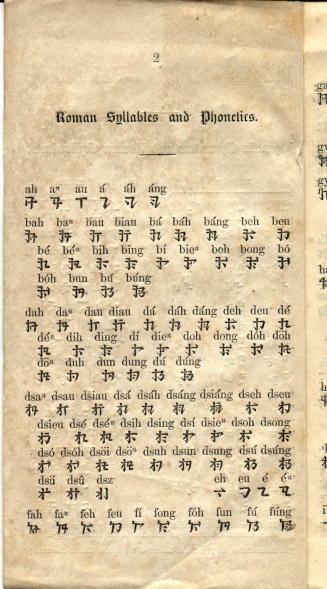 (Her Peep of day, or, a series of the earliest religious instruction the infant mind is capable of receiving of 1836 was also much used by the missionaries – we have twelve different Chinese editions of it in the collection, in several different dialects). 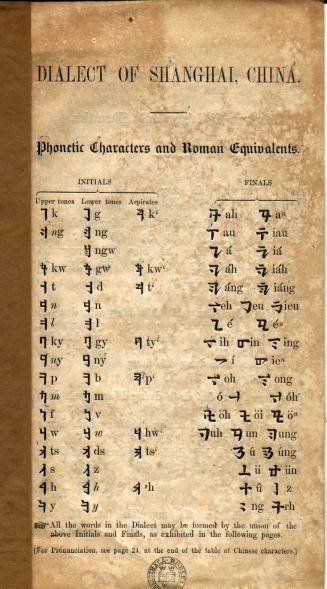 But Wylie does not seem to have known (perhaps because he did not trouble to figure out what the New Phonetic characters said) is that the volume he describes in his Memorials is only the second; the two in the Philadelphia Exhibition are the second and third; the first seems to be lost. A hymnbook, which according to Wylie (Memorials, 220) contains 21 hymns and 3 doxologies translated by members of the mission and others. 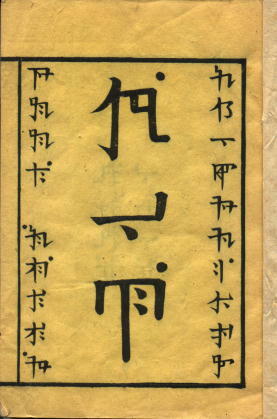 A version of the same text in Chinese characters (but still in Shanghai dialect) was published the following year, a sign, perhaps, that the system was not catching on as readily as envisaged. The Library also has a copy of this edition (Sinica 1264). The above illustrations show the two versions side by side. “Vung keen loh. Scientific Manual. 15 leaves. 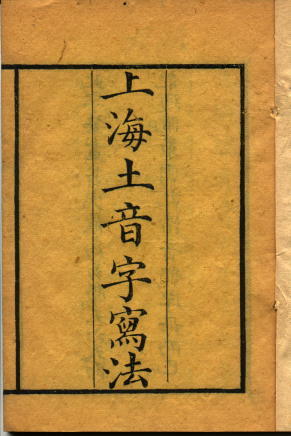 Shanghae, 1856″. (Under Crawford, Memorials, 214). “San kuh siau tsia. Three School Girls. 25 leaves. Shanghae, 1856″. (Under Mrs. Crawford, Memorials, 215). “Loo ka zen foh yung zu. Luke’s Gospel. 106 leaves. 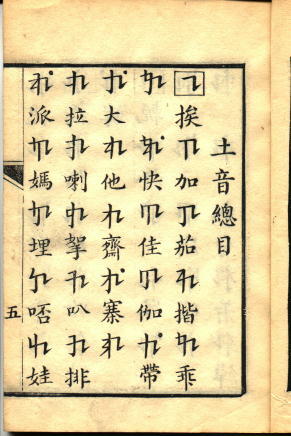 Shanghae, 1859″. (Under Cabaniss, Memorials, 220). This is a New Phonetic Character transcription of Cleveland Keith’s translation of St Luke’s Gospel into Shanghai dialect. 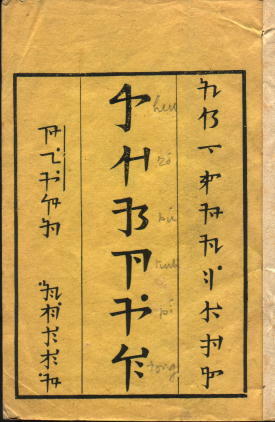 According to Spillet’s catalogue of the Bible Society collection (Chinese scriptures, 1975), Keith’s translation was first published in Chinese characters in 1856, then in New Phonetic Character by Cabaniss in 1859, and finally in romanisation in 1860. The Bible Society collection (now in Cambridge University Library) has copies of all three editions. This entry was posted on	10 December 2012 at 18:30	and is filed under Uncategorized. Thanks for spotting this. I’ll add the link to the blog entry. 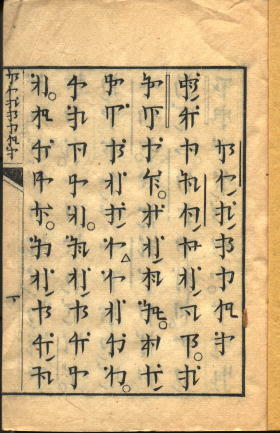 – Several contrasts shown in this transcription are lost in contemporary Shanghainese: the -ien and -an finals, some vowels in the entering tone. – Unlike Mandarin or Cantonese, Shanghainese has voiced (actually ‘breathy’ or ‘slack voiced’) stops. That ‘b’ in 菩 bú sounds roughly like an English ‘b’, while the ‘p’ in 比 sounds like in Mandarin (pinyin ‘b’). – The final ‘h’ is a glottal stop – a ‘swallowed t’. That is how all so-called ‘entering tone’ syllables end in Shanghainese. 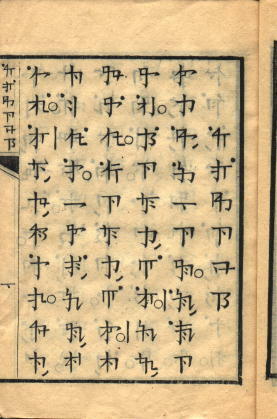 – The acutes in the romanisation seem to represent vowel length: all open syllables in the S. 1625 chart have an acute (unless already freighted with the burden of another diacritic), while in the entering tone we have an acuted-acuteless contrast. As far as I know, modern Shanghainese doesn’t contrast vowel length and e.g. ‘eight’ and ‘hundred’ (‘pah’ and ‘páh’) sound the same in citation form. – I’m not sure what those to the left or right of some syllables are exactly doing, but it must be some tonal contrast. Most of the time, the tone of a Shanghainese syllable is determined by the initial and final, but for the ambiguous cases you do need some type of tone mark and that’s what I think the dots are there for. Both 愛 and 比 can be assumed to be tone-ambiguous and are indeed ‘dotted’. So I’m taking the dots to mean ‘low tone’, but they seem to appear in other places where they aren’t called for. – What are those ‘quotation marks’ next to the first syllable of the ‘publishing house’? Another mystery presumably revealed deeper into S. 1625 I suppose. written as ‘zeh’; S. 1583 gives it as ‘zah’. – the digitised Æsop has several occurrences of kuh following a proper noun, which suggests it does mean “‘s”. Then the next problem is what seems to be the name of the publishing house. If we again imagine an old contrast between nasal vowels, the last three syllables in Phonetic Character are compatible with the 堂藏板 in S. 1583. The two previous syllables (perhaps Mandarin táng zhǒng? □忠? ) should then be the name of a Baptist church in Shanghai. (macron used for tonal disambiguation). 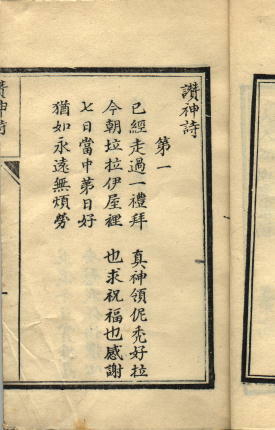 Finally – with apologies for the very long comment – Sinica 1583 was printed in 1860, if you look at the Idiosophy, or in 1659 mung. ts’ien (□前?) according to the New Character. Different ways of counting years (starting from zero or one), or different starting dates for the year? Thanks for this excellent information, from which I’ve learned a lot. I’m particularly pleased that you’ve solved the problem of the title of Aesop’s fables. I’m sorry to be so late in replying to this question. Do you still want the images? David.